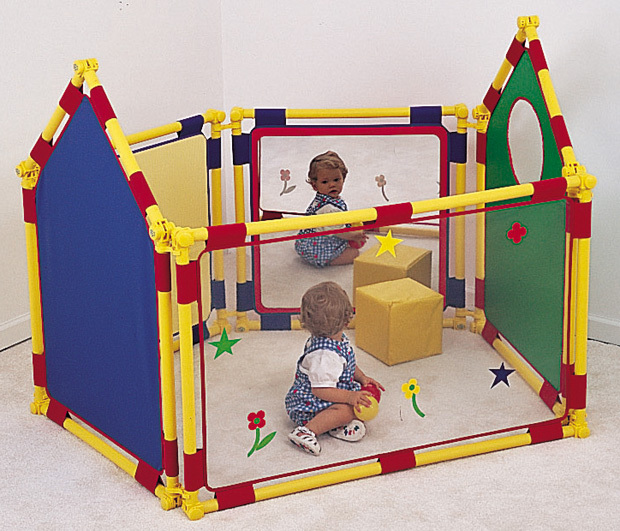 * Our Corral encloses a quarter circle play area with an 8' radius. * This set includes Cantilever Legs, wall and gate latch attachments which add stability and allows adult entry and exit. 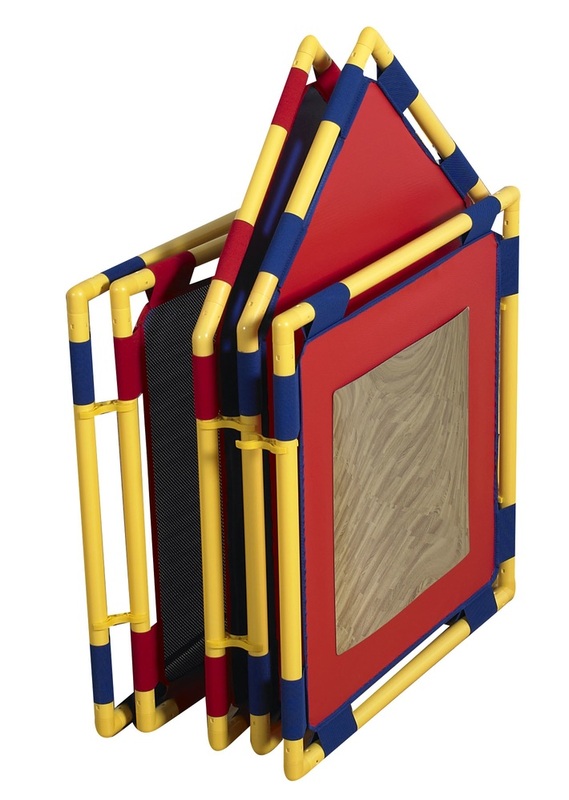 * Five-piece set can be used with Cantilever Legs for room dividers or in a circular self-standing play corral where children can dramatically play on the inside or the outside of the corral. * Color of mesh panel may vary.